The following review is written by Jen Gurney. For those of you unfamiliar what with a pantomime is, I would best describe it as a family-focused, audience participation encouraged, short musical (about 1 hour long). Pantomimes aka Pantos are filled with romance, comedy, goodies, baddies and of course a beautiful happily ever after (most of the time a wedding). 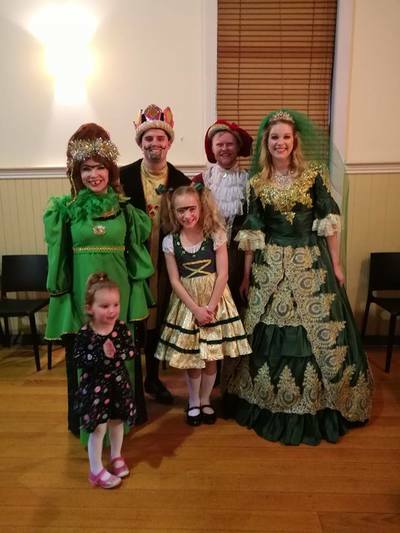 Pantomime Productions is an amateur dramatics theatre company based in Malvern East, who have been delighting young audiences with fairytale pantomimes for many years. On a cold, wet and windy Cup Final Eve, myself, husband and 3-year-old daughter headed to St Johns’s Church Hall to watch The Frog Prince. Happy and friendly smiles of the front of house crew provided us with the warmest of welcomes as we entered. We took our seats toward the front of the stage. The music started, the curtains opened and the cast all burst into song. The production was delightful, filled with stunning costumes, beautiful singing, funny jokes and audience participation - which involved cast members choosing members of the audience to join the cast on stage! 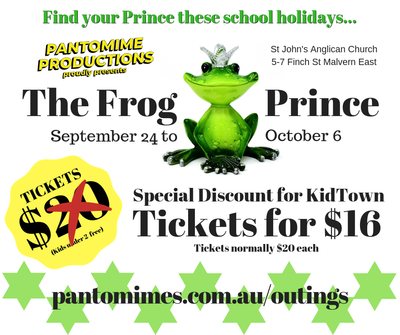 The Frog Prince by Pantomime Productions is a magical and very affordable show for any young family wanting a fun-filled outing during the school holidays. 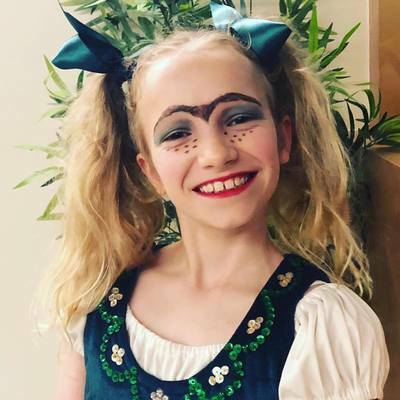 There are two performances of The Frog Prince by Pantomime Productions running every day for the remainder of the school holidays until Saturday 6 October. Tickets are priced at a very reasonable $20 each with free entry for under 3 years but if you head to www.pantomimes.com.au/outings you can buy tickets for an even cheaper price at just $16 each! When: Two shows daily until Saturday 6 October 2018.